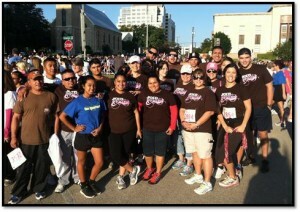 Austin Race for the Cure! A big thanks goes to our Austin properties for participating in the Austin Race for the Cure on Sunday, November 4th. There were 18 members of Team Austin including Sally Flores & Teresa Heeney who drove in from San Antonio to race with the Team! Thanks to Jessica Nofsinger whose fundraising brought in $350! WOW!